Thinking about integrating your loyalty program? Integration is the ability to connect our platform to a wide variety of products, devices and services. Our robust developer API makes it easy to connect us to many services that you may already use. Our loyalty program software can integrate with various POS systems and streamline your operations via API. Additionally, it's easy to import customer transactions from your point of sale system into your loyalty program to upload multiple transactions at one time. Allow your customers to automatically earn points after checking out on your website. Utilize our API to connect your website shopping cart with the loyalty program application so customers shopping online can earn points in real-time. Want to award points for a Facebook ‘like’? How about a Twitter follow? Build this into your own application using our API or use our custom branded customer web app with social integration already built in! Want to segment your customers for target marketing via email? Easy. Use our built-in MailChimp® integration or, utilize our API to connect with other third party email marketing platforms. Ask us how. Have something on your mind that we haven’t covered here? 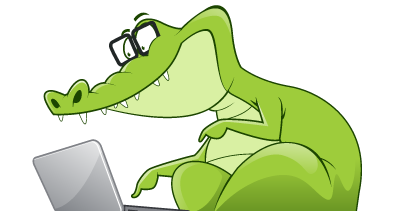 Wondering if the product or service you use can be thoughtfully integrated with Loyalty Gator? Ask us for more details.